Hike through a section of Badlands National Park to an overlook of the White River Valley. The trail head to the Notch Trail is located in Badlands National Park 2 miles east of the Ben Reifel Visitor Center. There is a large “can’t miss it” parking area with restrooms on the right (east) side of the road. 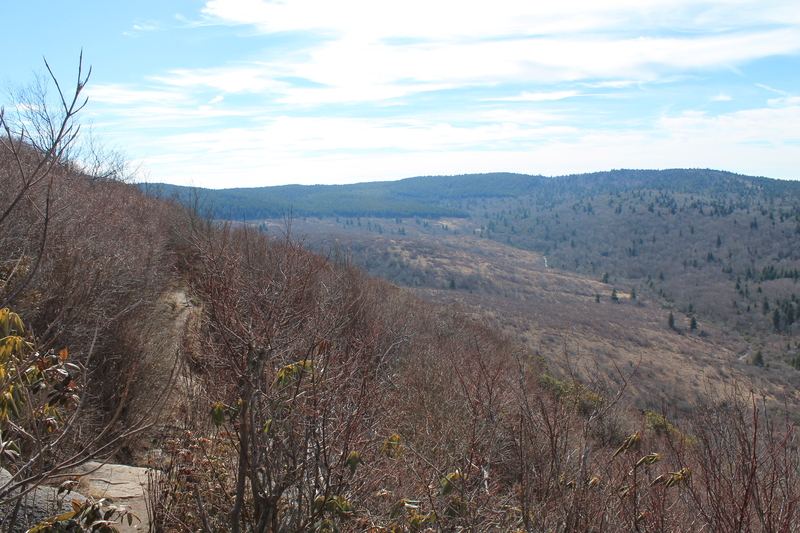 There are several more trails accessed here (Door Trail; Window Trail) in addition to the Notch Trail. 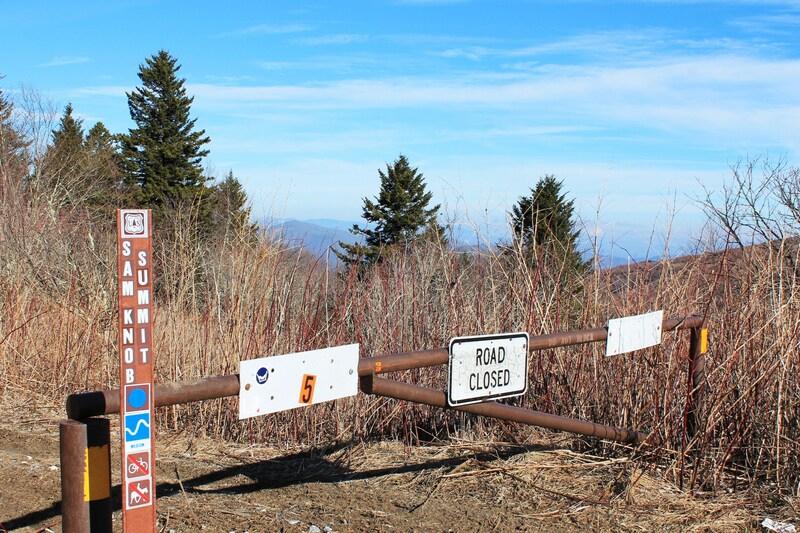 The Notch Trail is the closest trail head as you enter from the visitor center side of the road. One of the first things I noticed was the sheer number of people here. This is because several nice views of the canyon are located on short boardwalk trails which are wheelchair accessible and kid-friendly. Also, there are restrooms. We arrived mid-day after tromping through other sections of Badlands NP. It was around 100 degrees and dry. After locating the trail head, we began our hike. There were literally no crowds on this end of the parking area. This could’ve been because of the heat, or because the Notch Trail, though relatively short in distance, has a reputation for packing a punch. The sign says it all. I would say to make sure you carry plenty of water on hotter, drier days. Also consider there are rattlesnakes (unfortunately I didn’t see any), canyons, cliffs, narrow sections of trail, and a steep log ladder to climb. After hiking around .50-.75 miles through a canyon, you’ll come to the most famous feature of the Notch Trail: the log ladder. The ladder leads up to a cliff and the trail continues here to the left. The trail skirts a cliff and has a great view of the valley below. I found this short section to have the highest capacity for danger. It’s narrow and well over 100 feet above the canyon floor. The dirt is loose and slipping and falling is a very present possibility. As a matter of fact, I witnessed someone slip and begin sliding down toward the cliff’s edge, but I grabbed his shirt and pulled him back up. Falling hazards aside, there are some nice views of the canyon below. Continue to follow the trail as it hugs the cliff beside you. Again, exercise caution as there are no cables to hold onto. The trail veers right, and then dead stops at an overlook, or “the notch,” which provides great views of the White River Valley. After admiring the views and exploring, simply retrace your steps back down to the canyon floor and return to the parking lot. I really enjoyed this hike! If you’re ever in South Dakota, and Badlands NP in particular, this is one trail you’ll have to hike. As I said earlier, it’s not a long trail, but what it lacks in length, it makes up for in features and fun. Synopsis: A challenging hike down into Eastatoe Gorge to the “Narrows” – a spectacular box waterfall – in the Eastatoe Creek Heritage Preserve. Length: 5 miles round trip. Location: From Spartanburg, SC, follow Cherokee Foothills Scenic Highway 11 toward Pickens. At the 4-way intersection of 178, turn right toward Rosman, NC. At around 10 miles, Horsepasture Rd. will be on the left directly after the bridge. Look for the large red sign that says “Foothills Trail.” Drive up the gravel road until you come to a large graveled parking area on the left. You can park here, or drive on a short distance until you see the sign for Eastatoe Creek Preserve on the left. There is room here for 2-3 vehicles. Description: The Eastatoe Creek Heritage Preserve is a 300+ acre nature preserve at Eastatoe Gorge. The preserve features a box waterfall known as The Narrows, and is also home to several rare species of ferns and wildflowers. One type of fern is known to grow only in this preserve within the US. 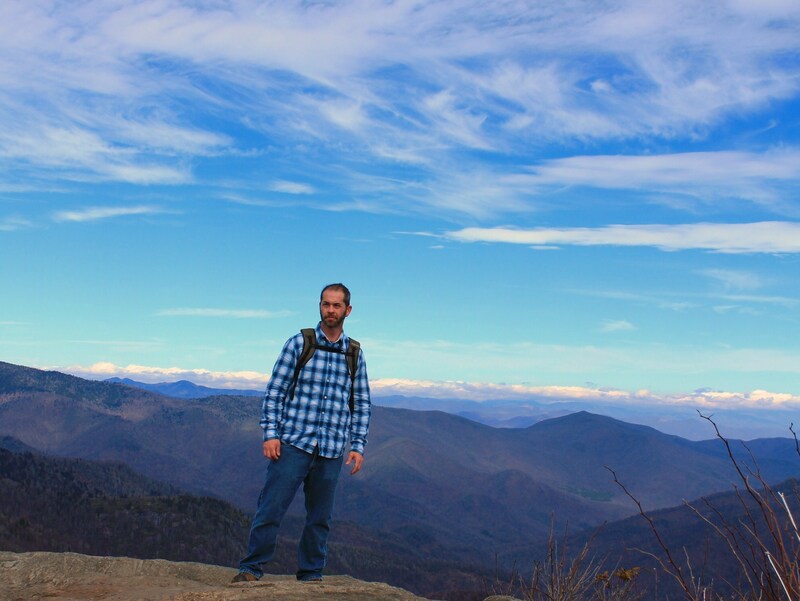 The upper part of the gorge is typical of the Upstate, SC mountains: a mixed forest of hardwood and evergreen trees. As the trail descends, the gorge takes on a rain forest atmosphere and look, with plenty of humidity, moss, ferns, vines, and biting insects! The trail to The Narrows of Eastatoe Creek Heritage Preserve begins innocently enough. This 5-mile round-tripper is a spur of the Foothills Trail. It starts at the red gate as an old road bed, winds its way down into Eastatoe Gorge, and ends at a viewing deck overlooking The Narrows. 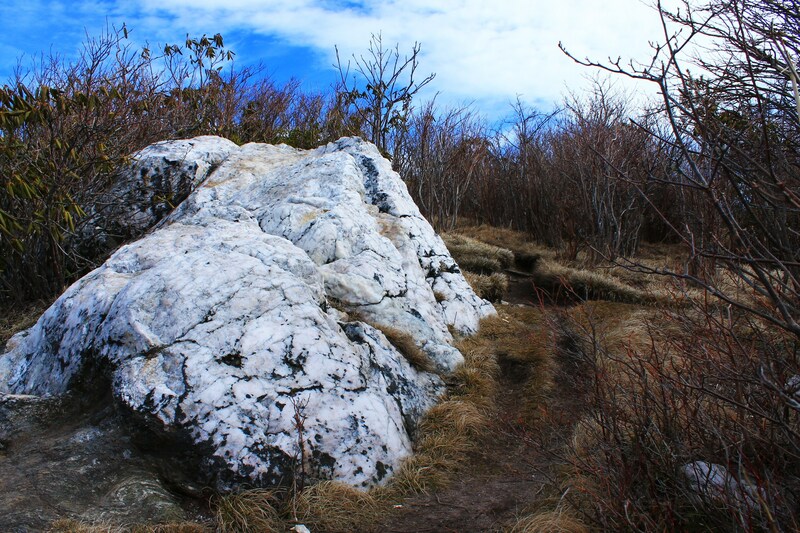 There are distinct “sections” to this trail that can be seen visually in the changing terrain and flora. 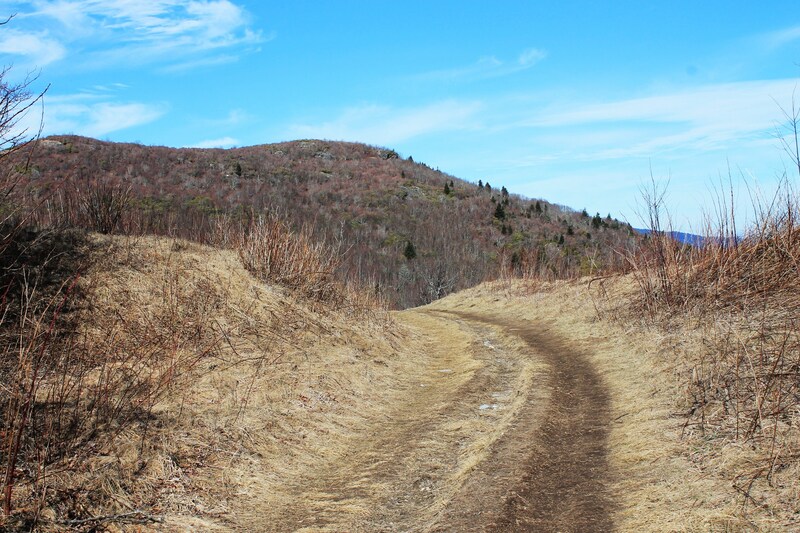 The first section takes you on a relatively level trail that begins as an old road bed before turning into a more traditional hiking trail.The trail is surrounded by hardwoods and mountain laurel. We also encountered an abundance of wildflowers throughout this section. You’ll also notice that the trail clings to the side of Eastatoe Gorge on your left, with it’s dramatic vertical drop-offs. 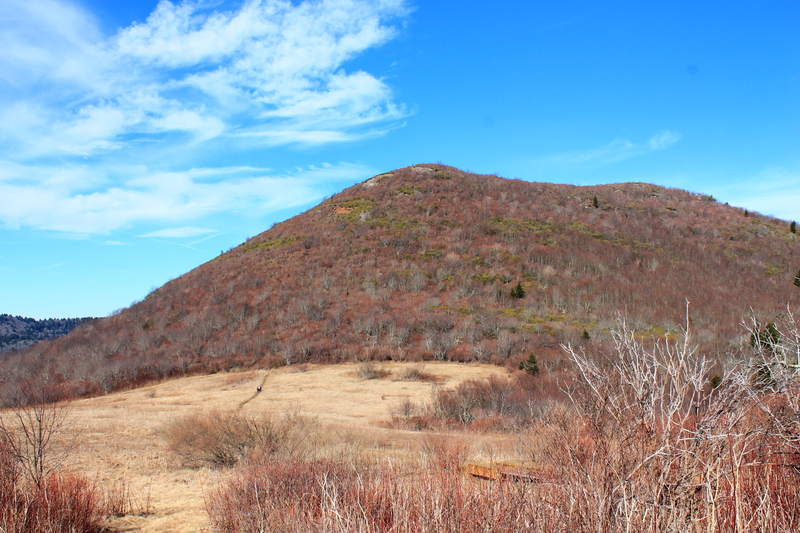 I would like to hike here in the Fall or Winter, as I imagine the views sans foliage would be amazing. After a distance of a mile or so, the trail begins to descend via a bridge and stairs to the left. This is a fairly sharps descent in some places with numerous switchbacks. This section gradually narrows until the trail is only a foot or so wide. There are a couple of footbridges across small streams. As you descend you’ll notice the ferns become more numerous, as well as vines and moisture. The spray off The Narrows and Eastatoe Creek turns the mountain environment into a rain forest. Follow the trail down to a viewing deck overlooking The Narrows. The view here is dramatic. Eastatoe Creek has cut a narrow box waterfall through the granite cliff, and as the creek is funneled into what looks like a 4 or 5-ft. sluice, it creates a dramatic roar and water plume all around the gorge. I’m told the deck is fairly recent, not just for viewing, but for safety. Several people have been injured or died here. Without the deck, the trail literally ends with a sheer vertical cliff. I was feeling more exploratory, so I hiked back up to a spur trail of to the right. This trail led down to the edge of Eastatoe Creek. Be careful if you take this trail! It’s almost vertical, and blow-downs are present the whole way. When you reach the end, you are now at the very bottom of Eastatoe Gorge. There is a primitive campsite along the creek. There are also numerous raging rapids here. The rocks around the creek are slick due to the perpetual dampness and darkness. I took off my shoes here and attempted to ford the creek to get a better view of The Narrows, but the creek wasn’t having it. Not only was it ice cold, but very swift, and the rocks were extremely slick. If I ever go back, I’ll take a rope and trekking poles or hiking staff for balance. Again, be careful here. One slip and fall puts you right in the middle of a cold, raging creek with plenty of rapids below you. Not a good combination. One interesting fact about Eastatoe Creek: The waters here are so pristine that native rainbow trout breed and spawn here. After taking a few pics and wading in the safer parts of the creek, I climbed back out to the main trail, which required both hands and feet to do so! After admiring The Narrows a little more, we begin the ascent out of the gorge. It wasn’t as “killer” as I’ve heard some describe, but it wasn’t a cake walk by any means! I was definitely sore the next day, and that rarely happens. To return, simply retrace your steps. Be sure to enjoy the nice, cool, damp breeze blowing up out of the gorge. You’re going to need it! Be sure to put this on your “must hike” list.